Baby Babü has been wonderful enough to not only giveaway 1 diaper but to giveaway 2 diapers for Baby K's 1st Birthday Celebration!!! This giveaway will have 2 DIFFERENT winners, that is why it is day #28 AND #29 :) The winner will have their choice of either girl, boy, or GN. Thank you so much Baby Babü for this wonderful giveaway!!! 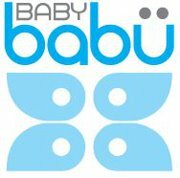 Baby Babu also carries biodegradable, hypoallergenic, chemical-free disposable diaper!!! These would be great fro when you are going somewhere on Vaca that taking your cloth is just not an option :) And Baby Babu has offered a coupon code for 10% off and they offer FREE SHIPPING on orders over $50. Use coupon code TRYUS10. Baby Babu pocket cloth diapers have tons of features to make cloth diapering a breeze for you and your baby! Our one-size pocket cloth diapers all come with the following features: -TWO openings to stuff the inner pocket of the cloth diaper. Why two openings you may wonder? Two openings allow for the insert to simply self agitate out in the washing machine, preventing mommy or daddy from having to reach in and pull out a yucky, soiled insert. With Baby Babu pocket cloth diapers, just dispose of any #2 in the toilet, toss in the washing machine and that’s it! We’ve eliminated the need for any additional dirty work. -Our adjustable snap button system, you now have a cloth diaper for life! The button system allows for sizing from 8-35+ pounds, so you’ll never have to search for new diapers to fit your growing cutie. -Each diaper wing has 3 button snaps to ensure a secure, but comfortable fit (most competitors have only 2 snaps on their diapers). But wait, there’s more! We’ve incorporated an extra gusset inside of the outer leg gusset to help prevent leakage for those little guys and girls that have a tendency towards the dreaded blow-outs or flood style pee pee incidents (moms and dads love this). -Finally, each pocket cloth diaper comes with one 3 layer super absorbent insert and super soft, moisture wicking liner.